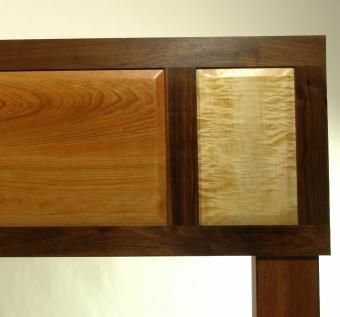 This headboard is of walnut with cherry and curly poplar, but is available in many species, and varying designs and for all sizes of bed. 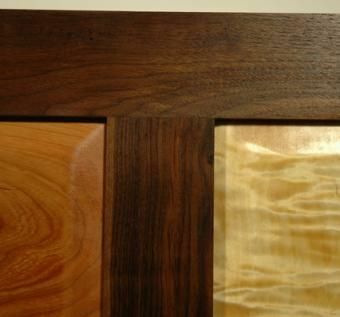 The walnut frame shows off the cherry and curly poplar panels. 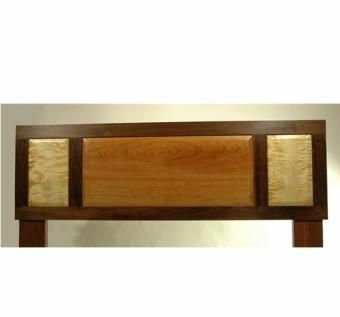 All pieces are solid wood, with the panels featuring softened bevels. Note the positioning of the grains and the amazing chatoyance of the curly poplar. The frame is assembled with super-tight mortice and tenon joinery.